Simon Whetham is a sound artist whose work covers a wide range of activities, from installations to compositions to workshops. For a long time now I've avoided hearing much of his music, perhaps because I always had a feeling that it might be uncannily close to my own work. But now, following on the solar eclipse, it seems somehow appropriate to share my review of this particular excellent release. Meditations on Light is a double CD that had an interesting genesis. It started with painter Kathryn Thomas' exhibition Lightyears, for which Whetham composed a multichannel installation. A stereo version of this music was released as a CD-R on his own label, Traceable Echoes in 2009, and then as a digital download on Dragon's Eye Recordings two years later. In the meantime, he offered the source materials (field recordings and samples of music) to other composers. The result is a double CD credited to Simon Whetham & Friends. This was issued on the innovative Russian label Monochrome Vision in 2011. So it's not exactly a "new" release, but is worthy of attention nonetheless. The first disk is named after the exhibition, and contains the original recording, now titled "Lightspace", and a second version, "Darkerspace". The music is what might be labelled "minimal", "drone", or "ambient". Various simple harmonic and melodic patterns repeat and slowly change over the course of the hour. There are recognisable string and piano parts, along with rhythmic articulations of filtered noise, derived from any number of unrecognisable sources. There is continuous musical evolution in this piece; instruments come and go in distinct "movements", though the pace is languid. "Darkerspace" starts with a wind from space, and continues with noisier textures and a more muted soundscape than that of "Lightspace". At no point does it get loud enough to be offensive; instead, it largely conforms to what one might expect from "dark ambient". You won't be bored, as the music themes evolve and mutate regularly, unlike less accomplished ambient music. One can imagine both tracks working very well in a gallery setting, but they also perfectly suit low volume playback in the living room while reading a particularly difficult philosophical text. As I know from experience! The second disk contains a fulsome 75 minutes of work from a dozen different artists. It is remarkable for how closely it hews, in the main, to the original. There are some exceptions to this pattern. Philippe Petit's "De Biscanti" is announced with what might be tympani and a discordant harmony. Rich strings segue into chirping ambience until a bold piano theme enters. It's very much "in your face" given what has gone before, and is a stand-out track for me. Maile Colbert's "Light Brutal" glitches musical themes with an overlay from NASA mission control. What might be cliché elsewhere works in this context. Scanner's "Souvenir" continues exactly from where Colbert's track leaves off, with the same tone and harmonies. If you weren't paying attention you might think it was the same piece. This close meshing of contributors is due either to excellent sequencing or the (hidden) internal workings of this collaborative venture. Occasional surprises disrupt the flow long enough to provide variety, the drum break in Scanner's track being the most dramatic (and perhaps unwelcome). A curious female vocal intervenes in "Lonesome Alien Rider" from Iris Garrelfs. But despite any perturbations, we always end up back in the laminar flow of the original textures. 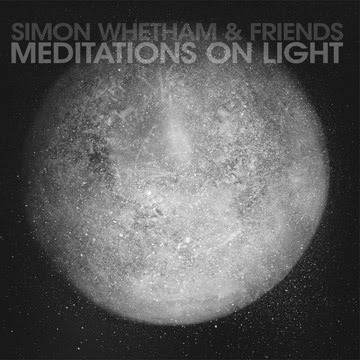 Anyone into Robert Rich, Rapoon, Thomas Koner, and similar artists should attend to Meditations on Light, an album comprised of uniformly excellent compositions working together as a coherent entity. I bought the album direct from Monochrome Vision. It's limited to an edition of 500, but copies are still available.